Welcome to the next step in your healing journey. Think of the human mind as a sacred temple with two distinct rooms. The first one is like an entryway that is small, savvy and well-lit. This is your conscious mind. This is where your thoughts, goals, desires, objectives, logic and reasoning reside. This area does not operate on emotion. Beyond the radiance of your conscious awareness lies a much larger, more mysterious room. It is dark, fertile and rich with imagination, emotion and creativity. This is your subconscious mind. Like a super computer, this is where all of your programming is stored. This treasure trove of knowledge is fueled by deep emotion and holds the key to changing your life. Because this vast room of hidden substance is running the show for all of us, it's important that we illuminate it so that we can bring it into alignment with our conscious mind. This is how we create congruency with what we say we want to do (or stop doing) and what we are actually able to activate in our daily lives. 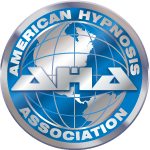 Through hypnosis we deal with undesired beliefs and behaviors that can be unlearned and replaced with what is truly intended. All human behavior resides in the subconscious mind and is driven by deeply rooted emotions and beliefs. Hypnotherapy puts you in the driver seat and out of the dark so that your subconscious mind can start working for you as a goal setting machine, rather than being run by an unconscious life script. Hypnosis is a consensual state of co-creation. While in this state, the body is deeply relaxed while the mind is highly focused and awake. With the body and the conscious (chattering) mind in a state of calm, we are able to communicate with the subconscious mind and create positive change. Metaphysical simply means that which is beyond the physical. It can relate to those things that we can feel deeply but cannot necessarily be measured, like love. 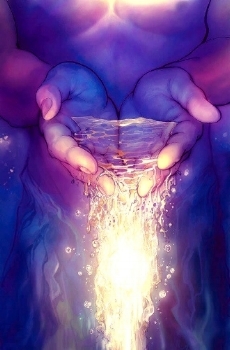 To embrace the metaphysical in regards to a healing journey is to embrace the truest part of yourself that will always lead you to your highest good. Stephanie Wright was a born healer. Always fascinated by the human condition and how the mind works, she delved into metaphysics, spirituality and the esoteric, all the while traveling her own path of self-improvement and discovery.